With a title as long as AWB’s, you’d think I’d covered all the bases. 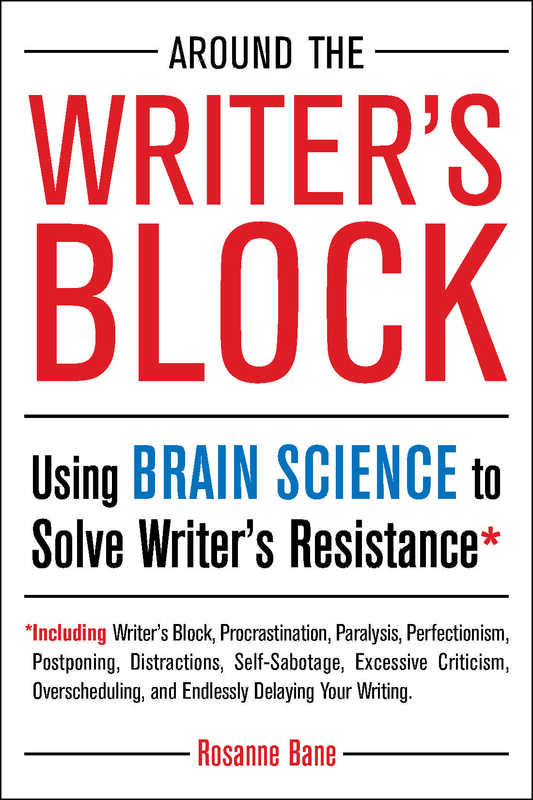 Really: the full title of Around the Writer’s Block includes the sub-title Using Brain Science to Solve Writer’s Resistance*. The sub-title in turn introduces a sub-sub-title that lists the primary forms of resistance: *Including Writer’s Block, Procrastination, Paralysis, Perfectionism, Postponing, Distractions, Self-Sabotage, Excessive Criticism, Overscheduling and Endlessly Delaying Your Writing. But apparently, I missed a major form of resistance: people-pleasing. Until I started reading Brene Brown’s Gifts of Imperfection, I didn’t see myself as a “people-pleaser.” In many ways I’m not. Where I am, the people-pleasing is connected to perfectionism, which I do recognize is a big challenge. Perfectionism blocked my awareness of how people-pleasing also interfered with my writing in subtle ways. Since even the tiniest bit of people-pleasing can create resistance and since my awareness of it is so new, I refer you an extremely insightful and well-crafted post by Maria Popova: The Definitive Manifesto for Handling Haters: Anne Lamott on Priorities and How We Keep Ourselves Small by People-Pleasing. I know you’ll benefit from Maria’s post and I suspect you’ll be intrigued by her weekly updates on Brain Pickings. So when you finish reading, why not make a donation to reflect the value you received? I did. In the spirit of my new awareness and for your sake and mine, please don’t tell me if my blog pleases you. But if this and my other posts help you expand your writing, please let me know how you’re growing as a writer. And if my posts don’t please you, oh well. ← Is Writer’s Block in the Forest or the Trees? Thanks for finally writing about >Hidden Writing Resistance Is Just as Dangerous as Obvious Blocks | The Bane of Your Resistance <Liked it! Whenn I initially commented I clicked thhe “Notify me when new comments are added” checkbox and now eaqch timje a comment is added I get four e-mails with the same comment. I removed your email address from the comment and hope that solves your problem. I don’t see any other action available in my edit function for comments. Sorry for the inconvenience. Thanks Eileen. I love the idea of staying on track on being imperfect. You’re right — perfectionism is SO sneaky. Biggest challenge I had to overcome to start writing fiction. Non-fiction came from my head, and if someone disagreed, I could argue them into submission. I knew I was right. My non-fiction came just as much from my heart, but I didn’t realize it then, and it provided a stepping stone to fiction. Thanks Joel. Did you know that people-pleasing was getting in the way of writing fiction right away or did that awareness come later? Before I could even start I had to let go of what others were going to think. I had a head start by going there with my music; you cannot even begin to write and perform music if you’re wrapped up in what others think. I still had to sort it out for fiction, even though I’d already done it for music. Different medium, new fears, I guess. Even with my music, I knew it was a problem, but my first couple dozen songs only had one or two keepers. Nowadays, I still toss off some stuff I have no intention of keeping, but most of my songs I intentionally craft to be performed from my heart.